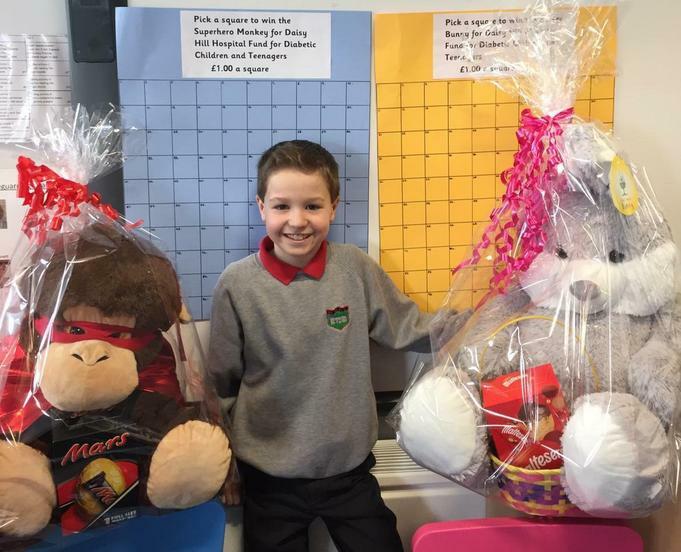 Oscar is raising money for the Daisy Hill Hospital Fund for Diabetic Children & Teenagers! We will have two charts in school over the next week or so, and it costs £1 per square to donate and take part. Each chart offers a different prize, as shown in the photo. The yellow chart is for the Easter Bunny, and the blue chart for the Superhero Monkey - plus an Easter Egg! These will be going around the classroom every day next week, and are also available to fill in at the General Office each morning & afternoon. A draw will take place to determine the winner of each prize. Let's see if we can fill all of the squares to help Oscar raise money for this important work!